Designed by WE Architecture, their proposal for the future town hall of Tønder draws a discreet profile in the landscape,that will stand out as a landmark in the city. 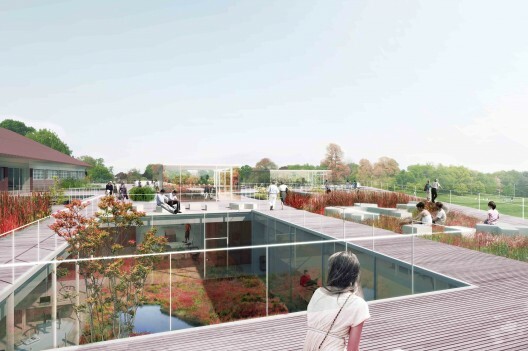 The building aims to strengthen the character of Tønder, emphasize the story of the marshes, and will be the starting point for tourists traveling and exploring the Danish wetland nature. The new town hall is not just an expansion, but a link between marsh on one side and the existing City Hall and Slotsbanken on the other side. More images and architects’ description after the break. The new building blends in with the marsh: it bridge the gap between nature and the city, opens up towards the surroundings and incorporates the green surroundings in the activities of the house. 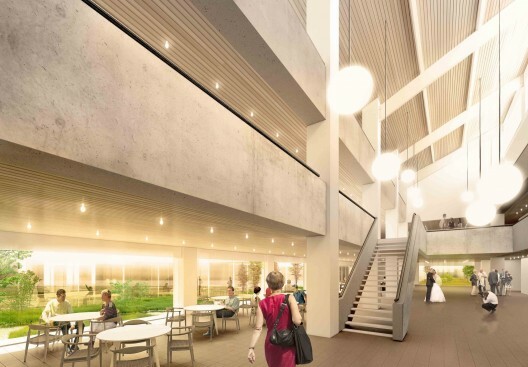 The house will create a platform for a wide range of activities, meeting places and hubs, and at the same time create a successful workplace. The building is placed in the landscape as a one story horizontal pavilion, adjacent to the existing town hall ‘southern facade. It will, by its horizontality not compete with the old city, the existing town hall, the museum and the water tower. By organizing the building around a series of green courtyards, the surroundings is pulled into the complex and creates a smooth transition between the nature, workspace and the existing town hall. The new town hall is based on the idea of working in nature. No matter where you are, in both the old and the new building there will be nature quite literally “on the doorstep”. 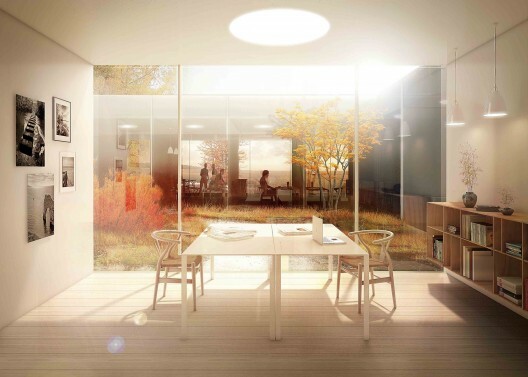 The roof and courtyards of the building will be a tale of the marsh – a small piece of Jutland which exhibits the surrounding nature phenomena. It will invite employees, citizens and tourists to explore the building and the rooftop garden before they move out into the wild.